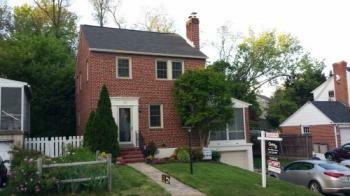 Beautifully renovated home in convenient location. Located within easy reach of BWI, MARC and other transportation sources and a quick jump onto I-695. Home features gleaming hardwood floors throughout, new kitchen with high end stainless appliances and granite, updated bathroom and finished attic room with heat and a/c perfect for family room or home office, this home is packed with so many upgrades. Landscaped rear yard with large deck, extra parking pad and so much more. You will love all this house has to offer!! Open House Sunday, April 10 from 1-3pm.